This superb collection of technical and restoration articles from the first 20 years of the 356 Registry covers all aspects of restoration and repair. Chapters include: Background/History; Body; Brakes; Detailing; Driving; Electrical; Engine; Engine Lore from the Maestro; Engine/Gearbox Conversions; Fuel System; Hardware; Interior; Linkage/Cables; Luggage Compartment; Parts; Restoration; Storage; Suspension; Tools; and Trim. 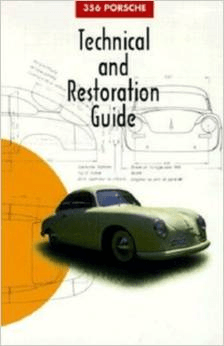 A great information source when in the proces of restoring a Porsche 356, or just to keep your car on the road. The articles have been assembled from articles published in the most important Porsche 356 Club worldwide, the Porsche 356 Registry.